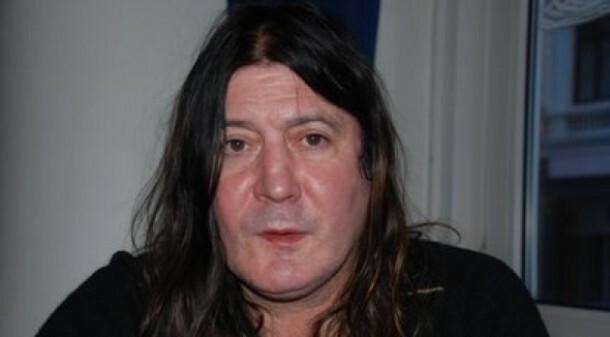 According to Classic Rock magazine, former UFO bass player Pete Way has been diagnosed with prostate cancer. The 62-year-old rocker is currently receiving treatment and feels "good, positive and determined to beat it," he told the magazine. As a result, the release date of Way's new solo album, "Walking On The Edge", has been postponed until next year. Speaking to Classic Rock, Way said: "I'm lucky. This is prostate cancer. It's not lung cancer. It's not pancreatic cancer. If you're going to get cancer, this is the best one you can have — and they caught it early." According to Way, his cancer was uncovered by accident after he underwent routine liver scans to determine the state of his battered liver, enlarged by hepatitis and years of abuse. "My liver has been the area of most concern over the years," he said. "But they did a scan of that whole area around my abdomen and that's when they found it. "Even then, it didn't click, I thought they just wanted me to bring someone to drive me home." Way told Classic Rock that he is speaking out about his cancer battle because he wants other men to get themselves checked. "I was lucky — they were checking my liver, not my prostate. They found it by accident. I didn't think I had any symptoms but when I spoke to the doctors, and they were asking me all those questions, I did have the symptoms. I just didn't know what they were." He added: "It happens a lot to men my age, 50 and over. I was telling Mike Clink [legendary UFO and GUNS N' ROSES producer/engineer, who is twiddling the knobs for Way's new album) about it and Mike said, 'Man, more or less every man I know in California has this. Don't worry, Pete — you'll be fine.' Everyone has been really positive. And that makes me feel positive, too."